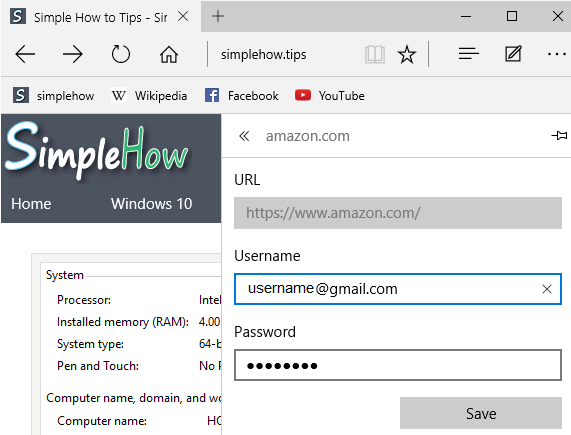 When you enter login username and password for any of your website account in Microsoft Edge, it offers you to save your login information. 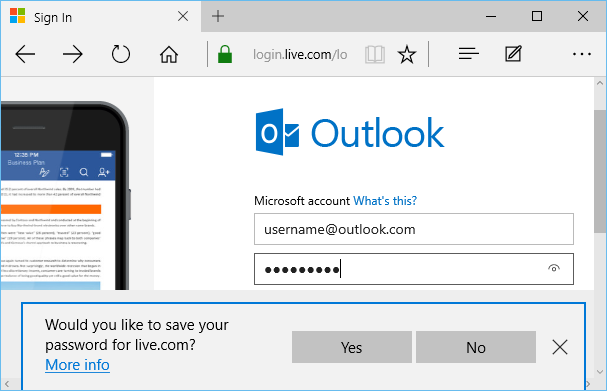 If you save your login information here, Microsoft Edge remembers it, and automatically fills username and password fields next time you open website account login page. 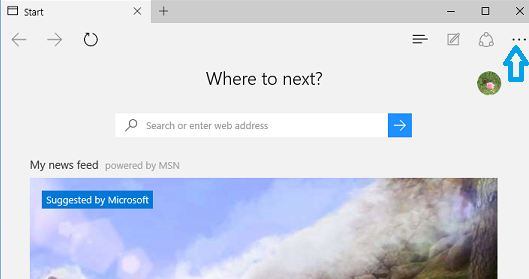 Microsoft Edge also remembers form entries (like your Name, email Id, address, etc..) that you enter on different websites, and provides you auto-suggestions when you want to enter that information on any websites that you visit. While this is great feature which reduces user efforts to enter information every time, you can also disable saving passwords and form entries. You can also view your currently saved passwords and update or delete them individually. In "Advanced settings" screen, scroll down to "Privacy and Services" section. 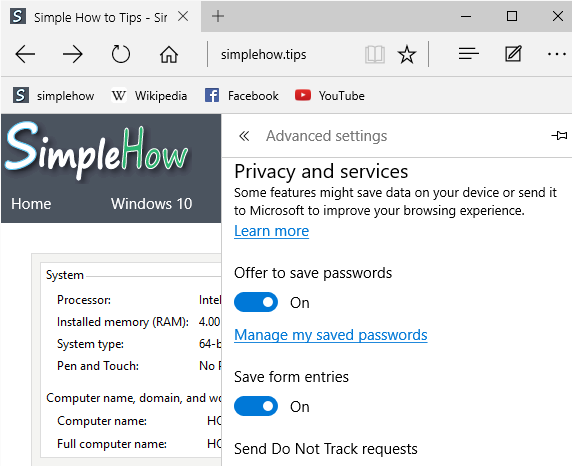 To disable Microsoft Edge to offer saving passwords , turn OFF toggle button below "Offer to save passwords". To enable Microsoft Edge to offer saving passwords, turn ON toggle button below "Offer to save passwords". 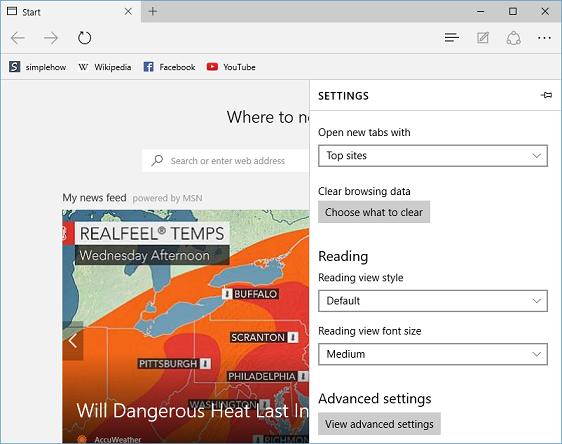 To disable Microsoft Edge from automatically saving form entries, turn OFF toggle button below "Save form entries". 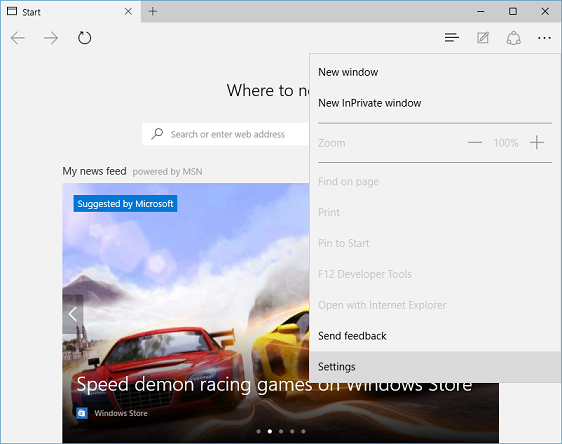 To enable Microsoft Edge to automatically save form entries, turn ON toggle button below "Save form entries". In "Advanced settings" screen, scroll down to "Privacy and services" section and click on "Manage my saved passwords" link. This will show list of websites for which Edge browser has saved your passwords. 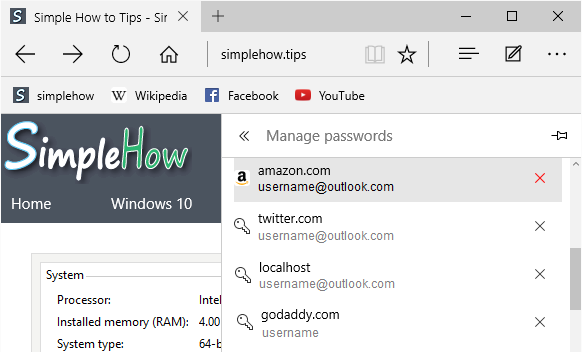 To delete saved password for specific website from Microsoft Edge, click on Delete(X) button next to specific website name. To change saved password for specific website, click on website name, enter new username and password and click "Save" button.